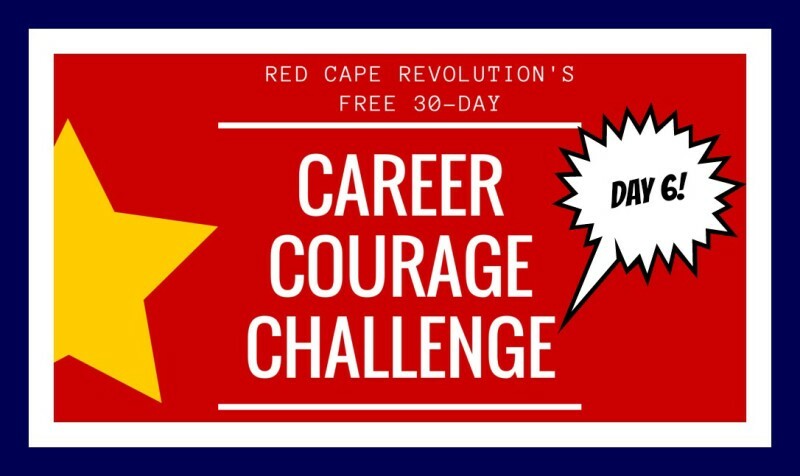 It’s the 6th day of our 30-Day Career Courage Challenge! Each day, I’ll be sharing a short challenge you can take to help build your courage and your career. Plus, I’ll be taking the challenges along with you—watch for my notes in the Comments, below, as well as on Facebook and LinkedIn, so chime in! When’s the last time you completely unplugged? Oh, I know, the thought makes you nervous. After all, so much of our work AND our lives are caught up in being connected by phones, tablets, and other tech gadgets. But what if you could go click-free, just for a day? What might change for you then? Today, take a look at your calendar. Pick a day this month (or heck, even a few hours) when you can go click-free. No email at the minimum. No devices at all if you really want extra points. See how focusing on what’s in front of you might change how you look at things in your life at work. Don’t give in to the FOMO–Fear of Missing Out. Because what you’re missing will never be as much as what you can potentially gain in focus and energy. Want my free tip sheet, How to Click Less and Connect More? Click here to get it now. This one gets hard when you really look at your schedule and commit, right? I’ve picked two, actually; now I have to put plans and systems in place so that I truly can be click-free that day. But I’m determined! How about you? Can you plan a click-free day sometime soon?